Bon appétite. 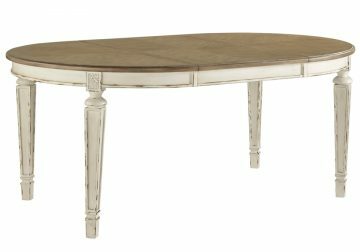 The Realyn dining room extension table has all the right ingredients for a French country-inspired feast for the eyes. 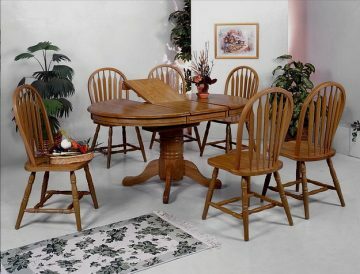 Drop-in leaf allows you to transform an intimate round dining table into a gracious oval dining table that comfortably seats six. Two-tone finish pairs a highly distressed “chippy white” with a natural oak-tone top for a double serving of charm. 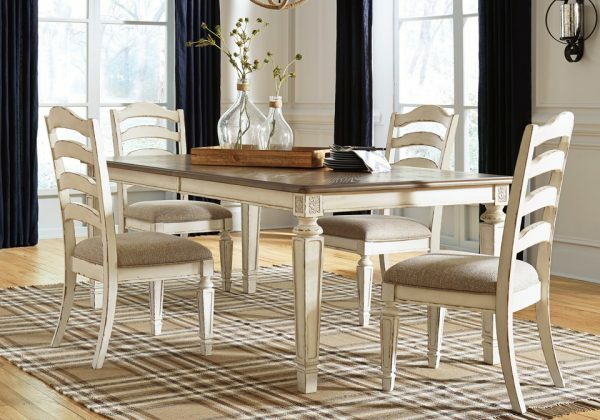 *Dining table only; Chairs sold separately.